The saying goes, “a picture’s worth a thousand words,” but how often do we actually ask a photographer or even the observer of a photo to offer up those thousand words? The best images often don’t need context to catch our gaze, to make us think, or even to tell a story on their own. But there’s certainly something to be said for hearing a backstory or a little bit of history behind a moment that’s been captured. 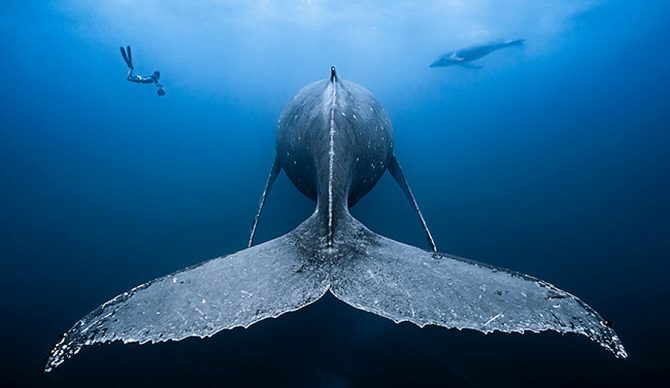 Over the past seven years, the Ocean Art Underwater Photo Competition has grown to be one of the most prestigious contests among underwater lensman. The competition awards over $80,000 in prizes to its winners across 16 different categories, which is a major reason it draws thousands of entries from more than 70 countries around the world. 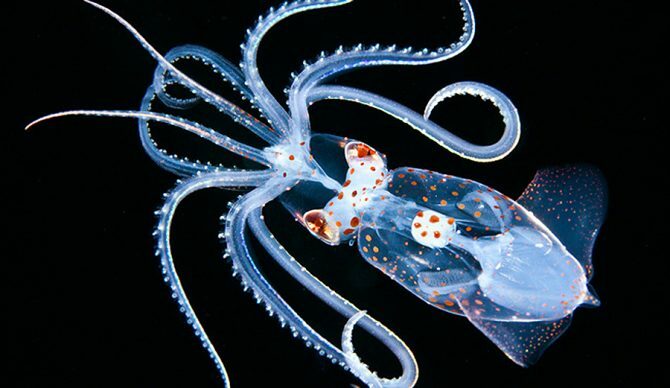 Based on sheer volume and competitiveness the winners are the cream of the crop in underwater photography. Here are a handful of the most recent winners in their respective categories with the photographers sharing just how these moments were captured. Sometimes the story is almost as incredible as the image itself. Trust. This is what came to my mind when this close to a 30-ton animal, still hunted today by mankind. The whale allowed me to freedive behind her and take that shot. From down there, everything seemed unreal: that huge tail centimeters away from me, the calf, my friend free diving symmetrically. I knew I would not get a shot like this one again. “‘Background first,’ was an important tip given by prominent underwater photographer Mark Strickland during an underwater photo workshop organized by Bluewater Travel on a trip to Socorro in 2017. I was new to underwater photography. So during a dive in the famous El Boiler when this giant oceanic manta ray suddenly showed up from the blue, I realized that the chance of getting a decent shot of it was slim due to the distance and the presence of too many divers around it. I remembered ‘Background first!’. “I have been fortunate enough to have a Japanese guide who showed me a couple of clownfish with their baby eggs. I never had the chance to shoot this type of interaction before so it was a big challenge for me. The adults swam endlessly around the eggs in order to oxygen them. Because of their endless movements, it was difficult to get the perfect moment. To achieve the perfect shot I needed patience and a big part of luck. The guide and I stayed more than half an hour and I took more than 50 photos. I really wanted to show how some parent fish cared for their babies. Editor’s Note: You can see the entire list of winners and honorable mentions from the 2018 Ocean Art Underwater Photo Contest here.